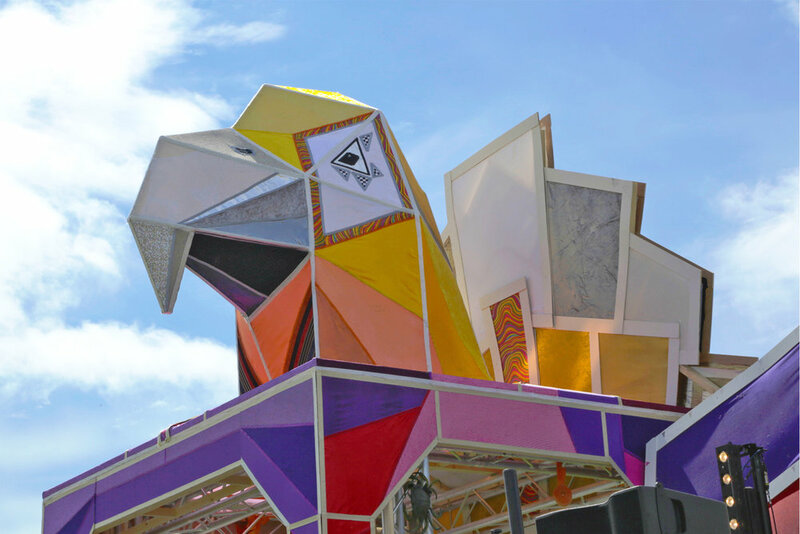 Macaw is a bold, sculptural centrepiece, forming a striking setting for music and performance. 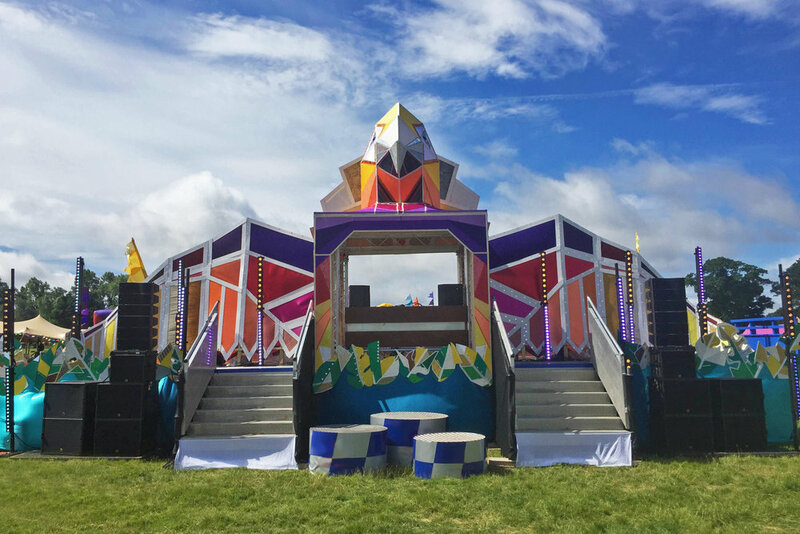 It was designed for a Rio-themed event produced by Smyle, where it formed a stage for the DJ and performers. It has a 360 degree view, with vibrant colours and varying textures. 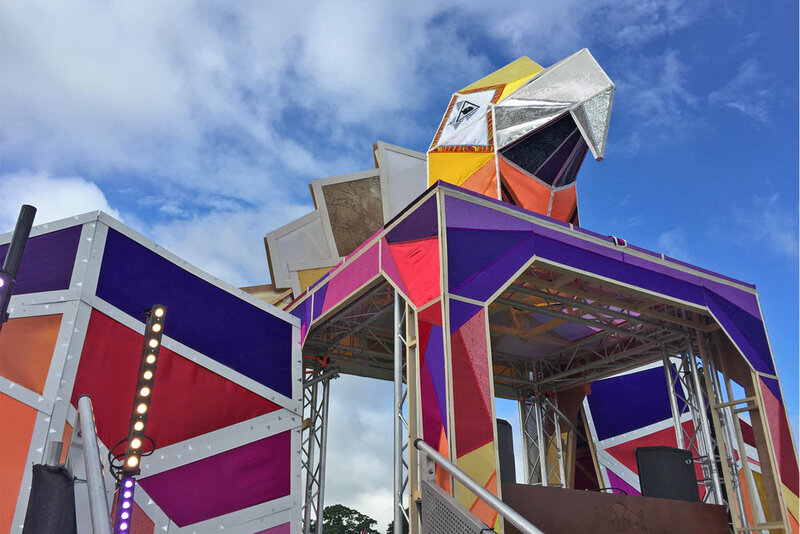 It is constructed out of timber, ply and fabrics, and was built onto a flatbed trailer and truss cube. The install could be adapted to different spaces and structures, both indoor and outdoor. Copyright © 2015 Tangleface Arts.